Kicking off my Monday Author Meetup feature, western historical and occult horror author Judith McDowell joins me today. 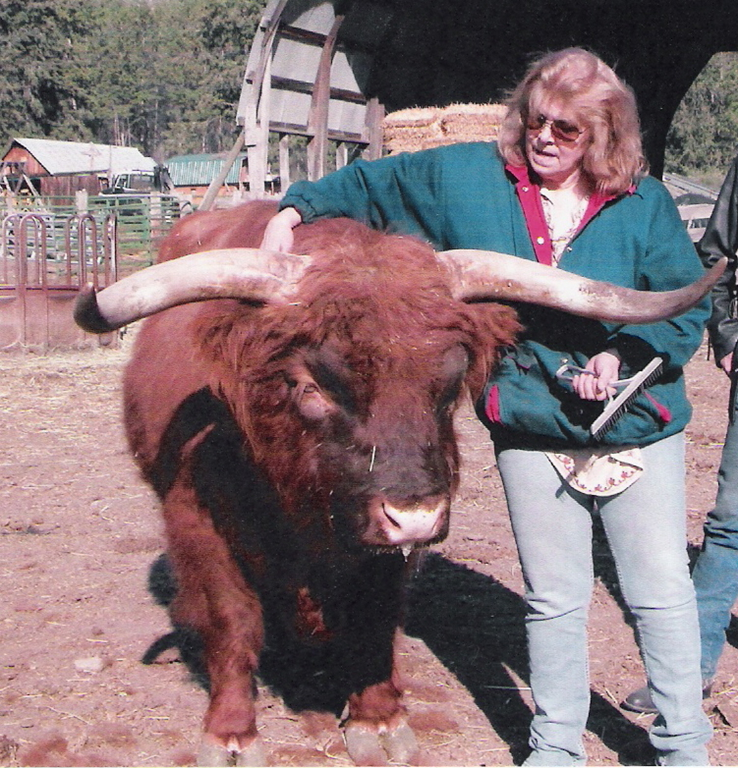 Judith Ann McDowell is a novelist with six finished books. When not working on a manuscript, Judith along with her husband likes to travel to different cities such as New Orleans to talk with people about voodoo and to talk with those who have experienced first hand, true hauntings. Judith is the mother of four grown sons, Guy and David and Rhett and Nick and lives in the Pacific Northwest with her husband, Darrell, and their two Pekingese Chi and Tai and three kitties Isis and Lacy and Reefer. Judith is at present working on her next novel. Welcome, Judith. I’m delighted to have you here. Hi Lyn. It’s my pleasure. To start off, why don’t you tell us how you began writing? Sure thing. I dreamed my first book, “Long Ago Memories.” I dreamed the Indian camp in Montana complete with the names. I woke and began writing the book. And I haven’t stopped since. That sounds like one amazing dream! What’s your best time of day or night to write? My best time to write is in the daytime. I write until the story stops flowing, so it just depends. Do you use scented candles, music, etc., to put you in the mood to write? What works best for me is music. For my Indian stories I played good Indian music and John Schnieder. Can you write amid noisy distractions or do you need absolute quiet? When I write I don’t have to worry about anyone else being around as I scream and cuss and cry…whatever the character is doing at the time. Grinning! I can relate. I get weepy when writing sad scenes. May I ask if you use a pen name? If so, how did you choose it? Yes, I do. I write under my maiden name. What a coincidence! So do I. Actually, I suspect quite a few authors do. Who are your books published with? How did you come to be with this publisher? The way I became published is Karen Fuller, my publisher at World Castle Publishing, read Rougarou, liked what she read and published me. How do you develop your plots and your characters? I don’t develop my plots or characters. I sit down at the computer and whatever hits my mind hits the storyline. Ah, so you’re a pantser. Good to know. Do you see yourself in some of your characters? Absolutely. I believe that all writers have a bit of themselves in their stories. That does seem inevitable. One last important question: Does your significant other and/or family support your writing career? My husband has backed my writing from the beginning. That man is a keeper! And you are one lucky gal. Now please tell us about some of your books. Gladly. I write in multiple genres. 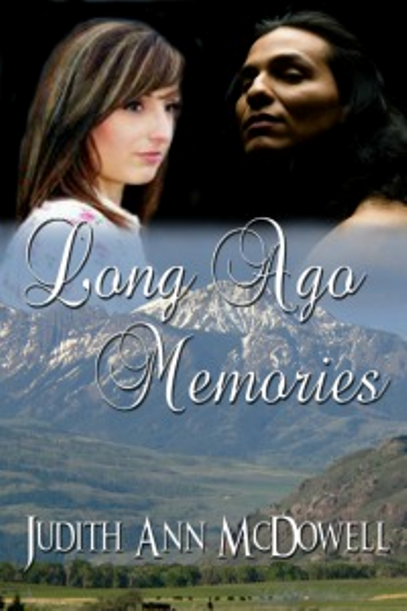 First, here’s a glimpse of my “ghostly” Native American romance, Long Ago Memories. In her search for the truth, seventeen-year-old Tia Thornton leaves the sophisticated world of Boston to come to the wilds of Montana. Abandoned soon after her illegitimate birth by her mother, sixteen-year-old Jessie Thornton, Tia finds more than she bargained for in her search for her father. While staying with her grandmother at the Thornton ranch, she comes across a drawing of a young Indian couple drawn many years ago. In the picture she sees the face of a man who has haunted her dreams for as long as she can remember. The beautiful young girl standing by his side – looks just like her. With her head snuggled on Charlotte’s chest, and surrounded by her comforting arms she listened to Charlotte as she tried to explain away the frightening incident. Finally, towards morning, Charlotte’s theory of a bad dream began to make sense. Outside the storm continued to rage. Drenching the rich land and cutting into the torn soil like a surgeon gone mad. For a split second the room glowed bright, showing the clear outline of a man. Then it was gone, leaving the women shrouded once more in total darkness. 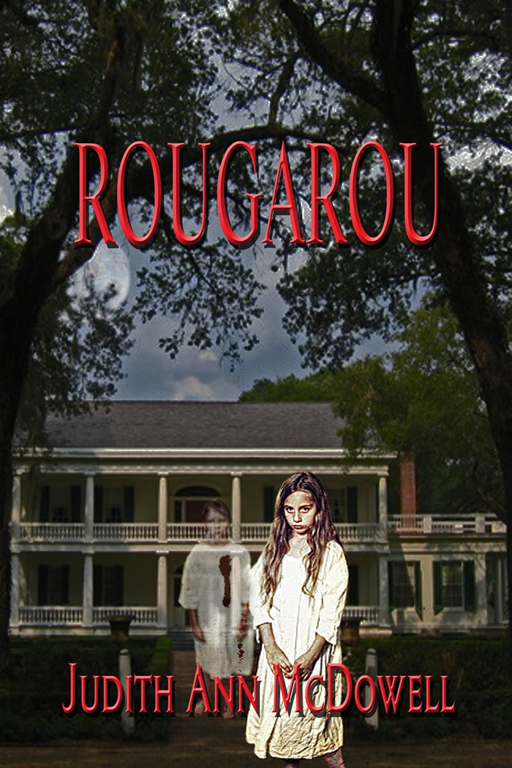 Rougarou is an occult horror thriller set in Louisiana. Everyone who lived in Saint Anthony Parish, Louisiana grew up hearing stories of the old Hindel Mansion . The one cast in shadow and sitting alone. Of late-night howling on nights of the full moon. Parents listened and nodded as though in complete agreement with the strange happenings. Later they would laugh and shake their heads over the wild imaginings of today’s youth. Then a family named Rawlins moved into the mansion and within days the laughter turned to a cold and paralyzing fear. Now another child has disappeared from the mansion and Detectives Hays and Olivier’ know they need to move fast before they have another bloodbath on their hands. Will they be in time to save this child? To cleanse their evil souls? Hence they have been cast. “Unable or unwillin?’ he gazed at her in the dim light. “You know as well as I , no one else will go up there. Christ! Even I haven’t been in that house since…” He shoved his tall, lean body from the chair to push past her and onto the porch. 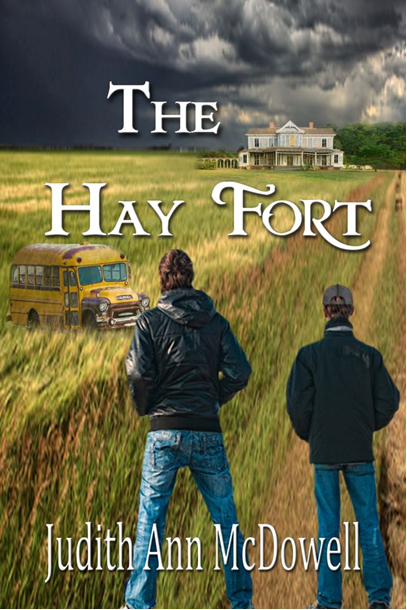 The Hay Fort also falls in the occult horror genre. When Willie and Butch Coby stumble on some filled jars in an old abandoned bus they have no idea what they are inviting by taking the jars away. Not until the contents are analyzed do they begin to realize some adventures can cost you your life or worse turn that life into a living nightmare. The sky was now dark, lit by the occasional flash of lightning followed by loud claps of thunder. It had also started to rain. “Lets go to your house, and I’ll call my dad to come get me. I’ve had enough adventure for now. Butch heard his intake of breath as they stood looking at the face of a woman pressed against the window and staring out at them. You can also purchase Judith’s books on her website. Thank you for having me on, Lyn. You write great interviews. Judith, nice to meet you today. I’m looking forward to reading your work. Good luck with your next project! Thank you for you kind words, Carra. I also write in multiple genres. Sometimes our brains demand it of us. Although I plot some and consider myself a plotzer–combination plotter and pantser. I plot but scenes pop in unbidden. Don’t we have a lovely occupation? Wishing you continued success. Thanks for joining me today, Judith.